Participants will learn more about Native foods and medicines of the Northwest and Southwest regions. We will make a traditional dried salmon broth, rose hip jam and, discuss treaty rights, wellness, and hear traditional stories about our foods. As Indigenous people we have our own unique ways and teachings around public speaking. Participants will learn about various communication styles and practice their own public speaking; strengthening the power of youth voice. In this space participants will engage in dialogue around cultural organizing and planning. Have an idea or project you or your youth council are working on and need to get it off the ground? This is the space for that. Facilitators will provide direct support and templates for initiatives that youth councils and individuals are working on. During the forum we poll youth participants on what they’d like to do at the end of the day. This is one practice NYLA uses to de marginalize young people by giving them their own right to choose how they’d like to spend time together. And to acknowledge that majority of the planning for the forum was done without their input. We begin, end and break up each workshop with icebreakers to keep folks engaged and stimulated, to build trust, get to know each other, have fun, and balance ‘thinking’ time with some movement and light heartedness. Alyssa will be joining the ATNI Youth Forum to support the Strengthen Your Voice workshop and to speak with youth participants during lunch. We’re honored to have her participation. Alyssa London, 27, was crowned Miss Alaska USA 2017 on Saturday evening, February 4, 2017 at the Anchorage Performing Arts Center, and immediately felt the excitement and responsibility that comes with being the first Tlingit to carry this prestigious title. In addition, she is the second Alaska Native to have been crowned. As an entrepreneur, radio host, and business owner, Alyssa founded CultureStory.co, an online platform to sell products that serve as a means to tell stories about diverse cultures. But that is just the beginning for this Alaska Native. Alyssa creates opportunities and inspiration for women across Alaska to realize their own dreams by providing them the online space to share products that highlight their artistry and culture. A graduate of Stanford University, Alyssa received her Bachelor of Arts degree in Comparative Studies in Race and Ethnicity. This Udall Scholar wrote her Honors Thesis on Rural Economic Development in Southeast Alaska. She believes a strong education has been the key to her ability to create a successful, independent business. Having travelled to over 30 countries, Alyssa uses her radio show to bring people together by helping others understand the beauty of other cultures. As Miss Alaska USA, she has a three-pronged approach to her year of service: Sharing her Culture, inspiring others to reach high levels of Education, and developing Entrepreneurship. Through motivational speaking she can bring together the love of our Alaska heritage, inspire this state’s youth to achieve higher education, and be the conduit supporting artists with the development of their own entrepreneurial interests. Alyssa is the daughter of Debi and J. Tate London, of which her father is a practicing U.S. Attorney and Federal Prosecutor in Washington State. She has two sisters, Lacey and Ellee, one brother, Kellen, and Mr. Pickles, her cat. Josephine is a Full-time student at Yakima Valley Community College in Yakima, Washington. Josephine is fully committed to the health and wellness of Native Youth. She practices “camouflage learning” which uses fun activities to teach various lessons. Josephine is also a Youth Pastor for “Mending Wings” Native Youth Ministry on the Yakama reservation and is also a song/dance coach for the Yakama Swan Dancers. Since 2004 she has offered Teambuilding workshops for both Native youth and adults who work with Native youth-such as Yakama reservation childcare directors, Head Start teachers and summer camp staff. Josephine has also facilitated youth workshops for the Annual BAAD Tournament in Pendleton, OR for Drug and Alcohol prevention and Social Skills Training for Job Corps students. Other workshops include “Leaders of Tomorrow” with United National Indian Tribal Youth (UNITY) and Goal setting workshops for the Northwest Indian Youth Conference (NWIYC). With two children of her own, Josephine knows the honor and respect of time invested in our children. Visit www.mendingwings.net for more information on the Mending Wings Native Youth Programs. Josephine is an alumna of the NYLA fellowship. Mariana, is an enrolled member of the Yakama Nation and was born and raised in Seattle, WA. She graduated in 2008 from Fort Lewis College with a BA in American Indian Studies. 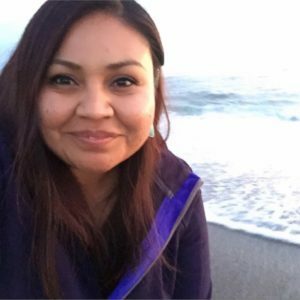 Mariana brings a wealth of experience to her leadership role with NYLA, including previous work with several Native non-profits, student organizations, the Yakama Nation, work with regional food sovereignty movements and with Native youth. Mariana serves the Affiliated Tribes of Northwest Indians (ATNI) Youth Committee dedicated to increase the leadership capacity in tribal youth across ATNI member tribes. 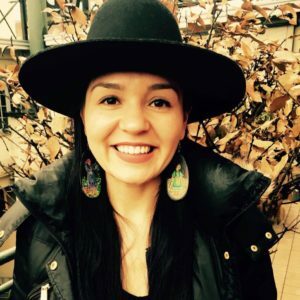 She is a contributing affiliate to the Northwest Native Plants and Foods Collective which aims to catalyze the indigenous foods and medicines revolution by raising awareness, mobilizing communities and supporting culture. Mariana enjoys gathering foods & medicines, making earrings, singing and is also passionate about creating spaces for all members of our community to thrive and belong. Mariana is an alumna of the NYLA fellowship. 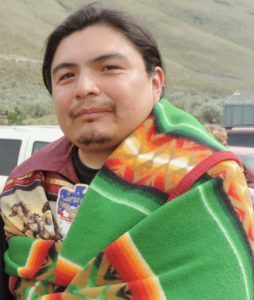 Johnny, is a proud father of Tatiwyat Buck, a Wanapum (River People) and also an enrolled member of the Yakama Nation. He grew up immersed in his language, ceremonies and culture, raised by his elders and community in Priest Rapids on the mid-Columbia river in Washington State. His elders were the last to live traditionally off of the land in traditional homes in the Northwest. He proudly carries this lineage and these roots forward in his leadership. 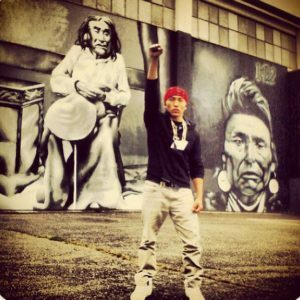 Johnny champions youth self-determination and self-governance. He advocates youth are powerful leaders who are leading now, not for the future. He promotes the de-marginalization of youth and supports youth to take action at the heart of change in Native communities. He is a passionate advocate and teacher to integrate ancient knowledge systems of transformative community change with culturally based collaborative leadership and community organizing. He is a Co-Founder of the Native Youth Leadership Alliance and a Chair of the Affiliated Tribes of Northwest Indians Youth Committee (www.atnitribes.org). Johnny is pursuing his Bachelor’s of Science in Native Environmental Science at Northwest Indian College on the Lummi Nation, combining traditional ecological knowledge with modern science to create policies and practices that protect and preserve our sacred Mother Earth. His long-term academic goals are to obtain a PhD in Environmental Engineering and a JD in American Indian Law and Environmental Law to ultimately serve Tribal communities as a Scientist, Engineer and Attorney to best protect and preserve Treaty Rights. Johnny is a NYLA co-founder. 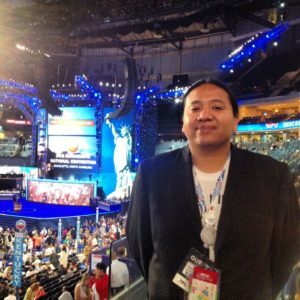 Kevin, is currently serving as senator of South Dakota as a representative of District 27 on the Pine Ridge Reservation, and has extensive experience in youth leadership development, political and community organizing, and community development in Tribal communities. Kevin attended Oglala Lakota College and was the first Tribal College fellow of the youth leadership development organization Young People For (YP4). Kevin expanded YP4’s Tribal College network into an independent, Native-led organization, co-founding NYLA in 2009. Kevin’s roles and responsibilities in NYLA include local and national relationship building, fund development, and fellow support and training. He has served in local and national roles including on the boards of the National Indian Education Association and Oglala Lakota College, Native American Leadership Program of Wellstone Action! and is a member of the Young Elected Officials Network, Treasurer-Native American Caucus of State Legislators and 2015 Bush Foundation Fellow. Ya’aa’teh. Hello my name is Eric Lewis, I also go by Makai; I am a proud member of the Dineh’ Nation. My clans are, I’m Nihooba’anii born for Dzil’tl’ahnii, my maternal grandparents are tsi’naajinii, and my paternal grandparents are Ta’chii’nii. I was born and raised on my ancestral lands on the Dineh’ homeland; located in what is now known as the Navajo reservation in New Mexico. My love for our ways of life, our people, and land comes from my ancestors, and what they fought for so that we could have what is left of our culture and land; and this is where most of my inspiration comes from. I was created and raised by two loving parents in a strong cultural home. I don’t drink, and don’t smoke, except in some of our ceremonies where we use mountain smoke. I am extremely spiritual and carry a strong belief in my culture and try to support it through my daily life. I’m highly dedicated to my education, and to uplifting/helping others. I only want the best for others, and that is what my journey is about. Like many other Natives, I strive to become someone who will make a difference, not only for my family, but for my community. I graduated with my AA degree from Northwest Indian College (NWIC) in the Native American Studies/Native Environmental Science program and a 2013 NYLA fellow.